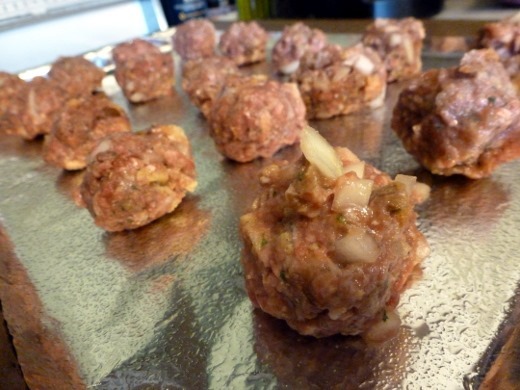 I think many people are intimidated by the thought of making homemade meatballs. But you know what? I’ve found they’re really pretty manageable. 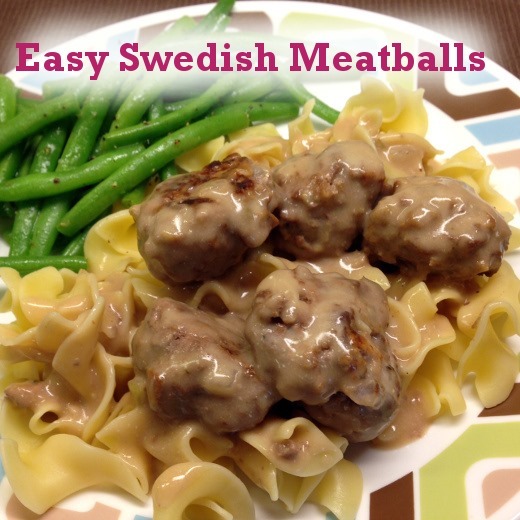 This recipe for Easy Swedish Meatballs is a perfect candidate for the novice meatball maker. I raved about this recipe for a solid two days after making it, I tell ya. I was very unprepared for the high quantity of deliciousness this dish would offer. To make the meatballs themselves, you’ll only need FOUR ingredients. Well, five if you count water, but I don’t count water. Manageable, amirite!? I prepared half of the original recipe to serve two adults, but you could follow the original recipe from Kraft and/or double these quantities to make the full recipe to serve more people (or for leftovers). Before I prepared homemade meatballs for the first time, my biggest hesitation was the thought of assembling those bad boys. Here is my biggest tip for you: they do not have to be perfectly round balls. I’m serious. Rustic, baby. I take a glob of the meat, cup my hands around it twice, and call it a day. Done and done. 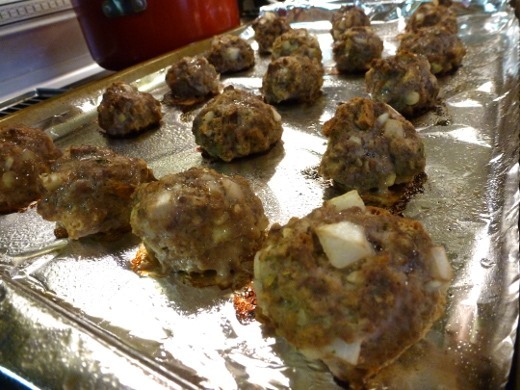 To prevent sticking, and for easy clean-up, shape the mix into about 16 meatballs (1” diameter each), and place on a foil-lined baking sheet, sprayed with nonstick cooking spray. 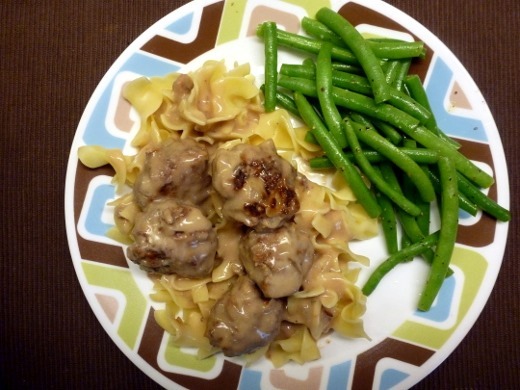 A quick twenty minutes in the oven, and BOOM, you’ve got homemade meatballs. You’re like a real life chef now. The sauce in this recipe is wicked easy. Canned beef gravy and sour cream. Yep, that’s it. 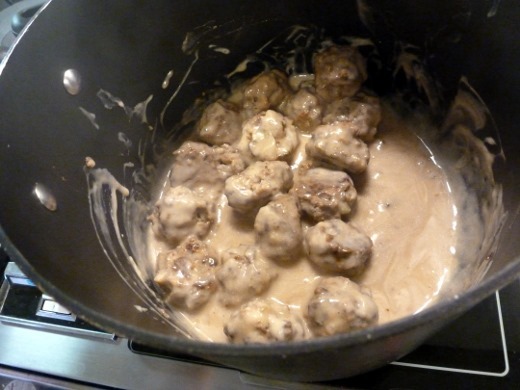 Mix up your magic gravy over low heat, and gently stir in the cooked meatballs. Heat for 3-5 minutes (low heat! ), or until everything is heated through. 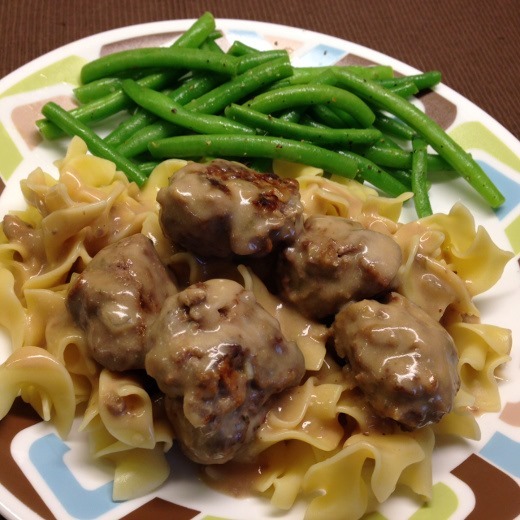 I highly suggest serving the meatballs over cooked egg noodles. Green beans make a terrific side dish, too! To be honest, I’m not really sure I’ve eaten true Swedish meatballs before. I’m familiar with the dish (mostly from IKEA ads??) but don’t recall eating it anywhere. Clearly these are probably quite far from authentic, but you know what? They are really flipping delicious. And because I don’t have time to be a gourmet chef every night, I will definitely be taking full advantage of the shortcut ingredients in this dish (packaged stuffing mix and canned gravy for the win!) that make it a manageable recipe by preparing it on many weeknights in the future. Booyah! I’ve totally made this twice in the last two weeks. 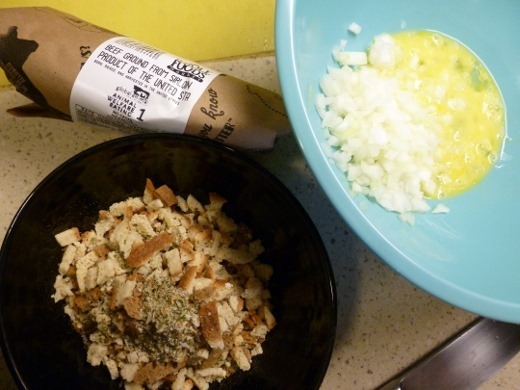 MIX meat, stuffing mix, egg, onions and water just until blended. 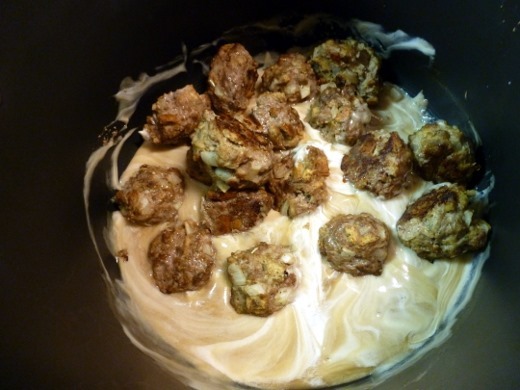 Shape into 16 meatballs, each about 1 inch in diameter. Place on a foil-lined 13×9-inch pan sprayed with cooking spray. BAKE 20 min. or until done (160ºF). 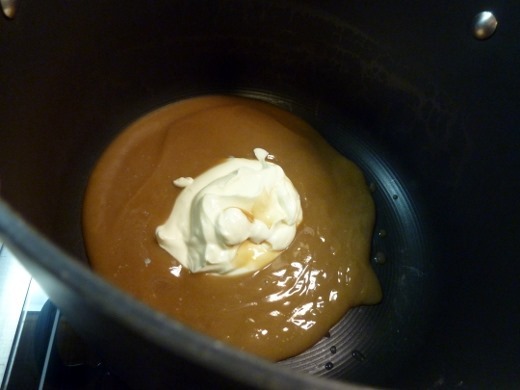 MIX gravy and sour cream in large saucepan. Add meatballs; gently stir to evenly coat. Cook on low heat 3-5 min. or until sauce is heated through, stirring occasionally. Serve over cooked egg noodles, if desired. Couscous Meatball Soup <-another fave! I love a good meatball. My favorites come from the Dinner a Love Story blog (chicken parmesan meatballs) and Orangette’s Homemade Life book, which feature a slightly middle eastern version (which I also adapted on my blog). I’ve been meaning to try the Swedish variety as well, even picked up some Lingonberry jam from Ikea to serve with. Alas, it’ll probably have to wait til fall and the return of comfort food. 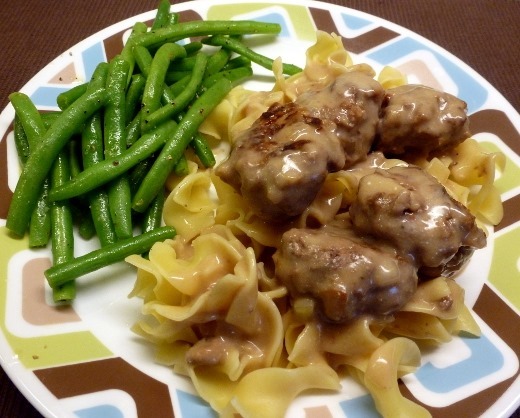 Meatballs are delish! Thanks for the two recommendations – I’ll have to check them out! I have eaten these and loved them, but I had no idea how to make them. I’m so glad you posted the recipe.